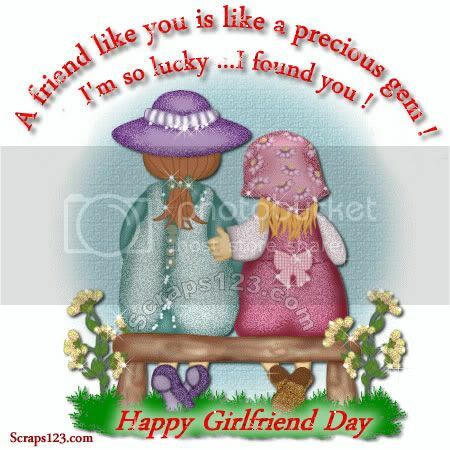 Let's celebrate girl friend day ! 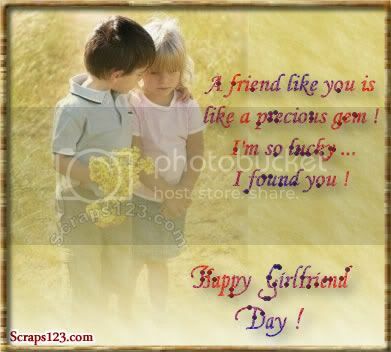 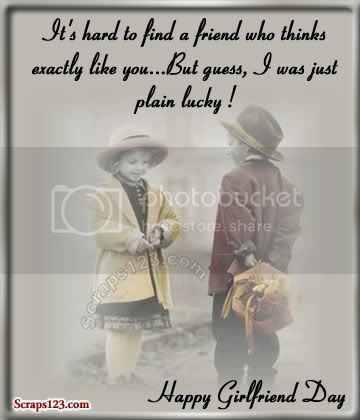 A very special and warm wish to send to your friend on Girlfriend's Day. 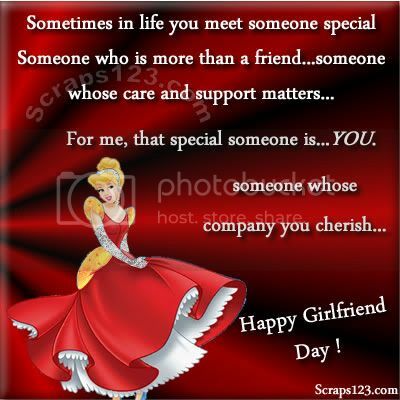 Make your best friend feel special on this special Day.